Robot Game Rules - What's the rule? This year's rules have basically remained the same as last year. Except: LEGO string and tubing may be cut shorter. R02 - CONTROLLERS - You are allowed only ONE individual controller in any particular Match. For your Brick Controller you have the choice of the following LEGO Mindstorms Bricks: RCX (the one that started it all - mine still works on older computer OS systems), NXT, and EV3. 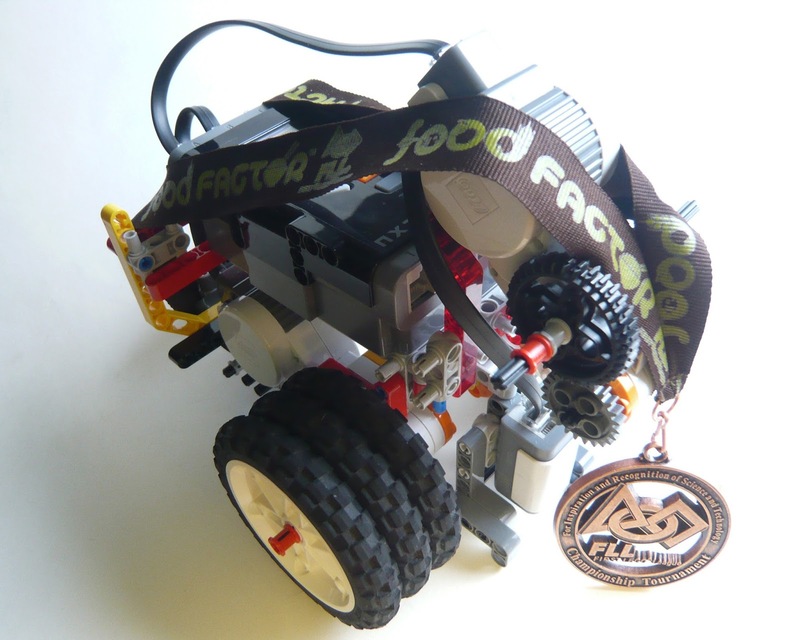 R03 - MOTORS - You are allowed up to FOUR individual motors in any particular Match. Other LEGO motors: Wind-up or Pull-back are not allowed. R04 - EXTERNAL SENSORS - Use as many external sensors as you like. R05 - OTHER ELECTRIC/ELECTRONIC THINGS - No other electric/electronic things are allowed in the competition area for Mission-related activity. Except: LEGO-made wires and converter cables are allowed as needed. Wires from Mindsensors and other third parties may not be used in competition. 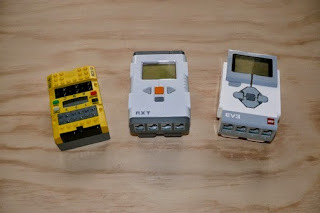 R06 - NON-ELECTRIC ELEMENTS - Use as many non-electric LEGO-made elements as you like. Be creative folks! 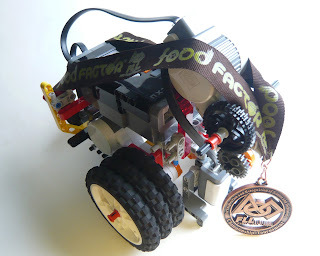 R07 - SOFTWARE - The Robot may only be programmed using LEGO MINDSTORMS RCX, NXT, EV3, or RoboLab software (any release). No other software is allowed. Patches, add-ons, and new versions of the allowable software from the manufacturers (LEGO and National Instruments) are allowed, but tool kits, including the LabVIEW tool kit, are not allowed. Keep in mind that robots and attachments will be checked at the Robot Inspection and possibly at the game table, so please adhere to the rules. STARTS - After getting to the Field on time, you have at least one minute to prepare. • calibrate light/color sensors anywhere you like. • You are not allowed to interact with any part of the Field that’s not COMPLETELY in Base. • If you combine a Mission Model with something (including the Robot), the combination must be loose enough that if asked to do so, you could pick the Mission Model up and nothing else would come with it. o Your Robot and everything in Base it’s about to move or use is arranged by hand as you like, all fitting “COMPLETELY IN BASE” and measuring no taller than 12inches” (30.5 cm). This rule has been re-stated. o Reach down and touch a button or signal a sensor to activate a program. The Technician should not be touching any part of the robot during the countdown. o NOT completely in Base: Give it to the Ref! The Ref takes it. o Partly in Base: Give it to the Ref! The Ref takes it. • If the Robot separates Dual Lock or breaks a Mission Model, Missions obviously made possible or easier by this damage or the action that caused it do not score. Please try not to destroy the models - it delays the game in repairing them. • After that, hands off everything until after the Ref has given the okay to reset the table.